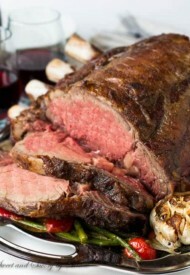 Oh my gosh, do I love me some prime rib!! 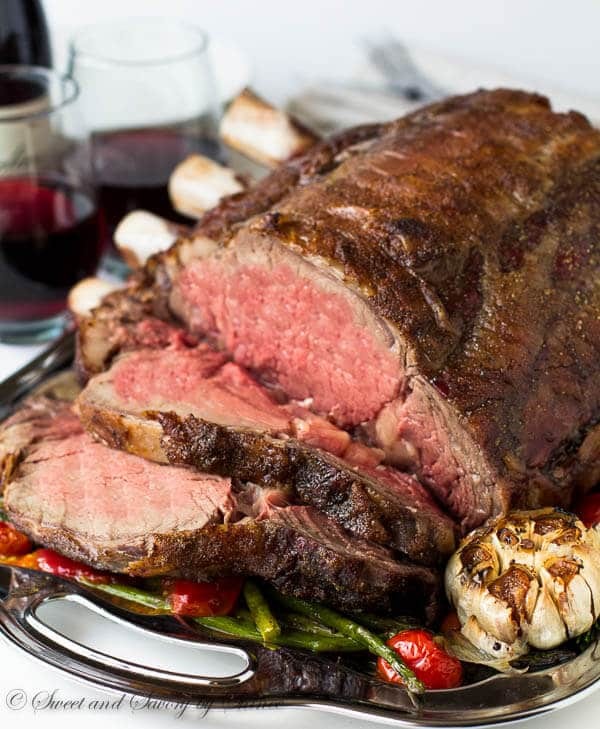 Thick, juicy and melt-in-your-mouth tender, there is nothing better than perfectly cooked prime rib. If you’d asked me “How would you like your steak?” like 10 years ago, when I just landed in the U.S., I’d tell you firmly, “Well done.” Cringe, cringe, I know!! Though we eat a lot of beef in Mongolia, steak isn’t common there. And we’re just not accustomed to pink meat. In fact, it took me good 2 years to start ordering medium done steaks. That’s when I met my rancher husband, who wouldn’t let me order well done (aka ruined) steaks. Fast forward 8 years, I now cook medium and sometimes even medium rare steaks for myself. Oh how things change! 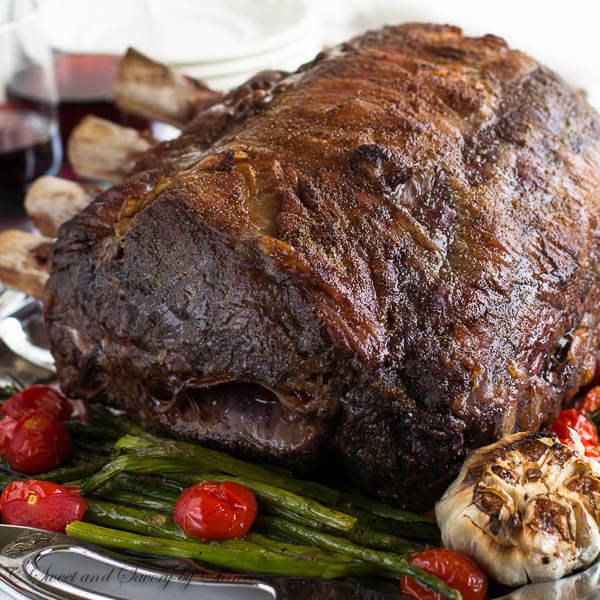 When you have this beautifully marbled, perfectly frenched prime rib, you don’t want to mess up, especially if you’re making it for a special occasion. But don’t let the fear stop you from serving this masterpiece for a holiday meal. 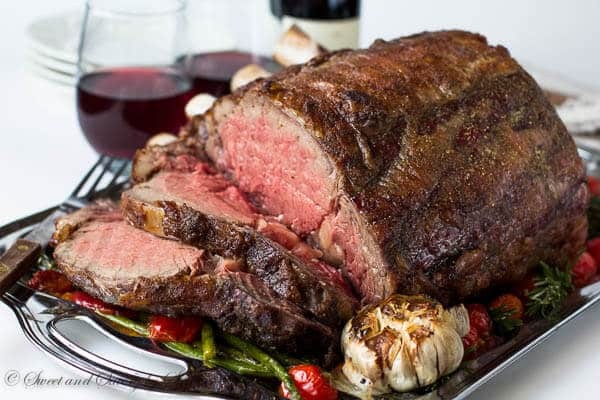 I’m going to show you a fool-proof, proven method to roast a perfect prime rib! Minimum overcooked layer between the crust and interior, aka gray zone. He achieved all three criteria by reverse searing method. What is reverse searing, you ask? 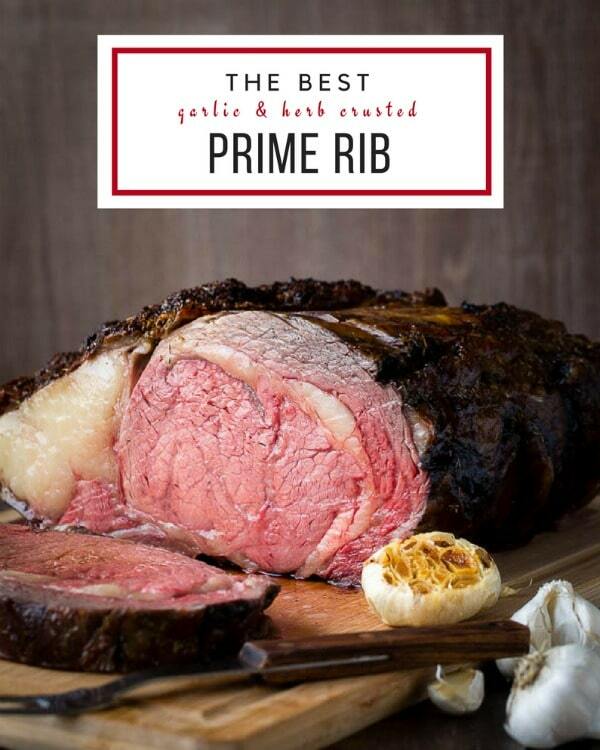 Well, that’s when you cook the prime rib at the very low temperature until it reaches 120°F for medium rare, and then you roast it at the very high temperature for a short period of time. But here’s the important part: before searing at high temp, you’ll need to take the roast out of the oven and let it rest while oven is preheating to 500°F. 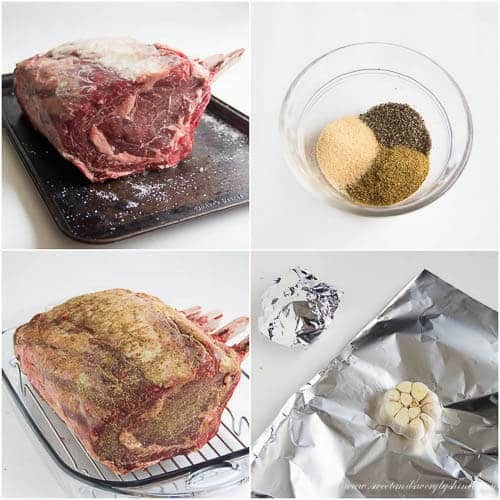 This way, the roast won’t overcook, because as you know, it takes at least 20 minutes to heat an oven to that high temp, plenty of time to ruin a good roast! And here’s another tip: for perfectly crispy crust, make sure to dry out the roast by resting it uncovered in the fridge overnight. And while at it, go ahead and salt it too, so that it has plenty of time to penetrate the meat all the way inside. Let me know if you try this method. I know you won’t regret it.